Prospects’ camp is underway and training camp is around the corner, which means players vying to lock themselves up a roster spot for the upcoming season. This year the Wings’ front end is loaded, with 16 players listed on the Red Wings’ roster plus Daniel Cleary has stated that he wishes to resign in Detroit. Following an injury filled year, players who received playing time may be relegated to the press box. 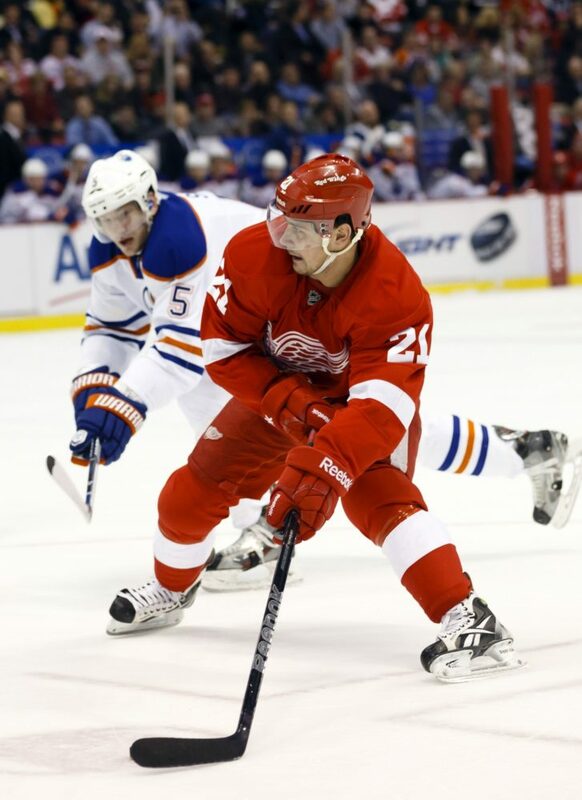 All signs point to Darren Helm returning from his back ailments, and veterans Todd Bertuzzi and Mikael Samuelsson are looking to return to the lineup. The same competition does not exist on the back end, the Wings only have seven defensemen on their roster. The departures of Ian White and Carlo Colaiacovo have opened up spots for youth to step up in Hockeytown. However, an underwhelming camp could force the front office to dive into the free agent waters to secure the blueline. Five young players jump to mind when looking at the potential roster and they all have similar characteristics. None of them have played an entire NHL season. All of them played parts of last regular season and all but one played in the playoffs with the Red Wings. They were all members of the Calder Cup winning Grand Rapids Griffins, and none of them are taking part in the prospects camp meaning they are all looking to secure full-time jobs in the NHL. The 24 year old Swede is entering his third season of professional hockey after his tenure at the University of Maine. His 60 points led the Grand Rapids Griffins last year in only 58 games. 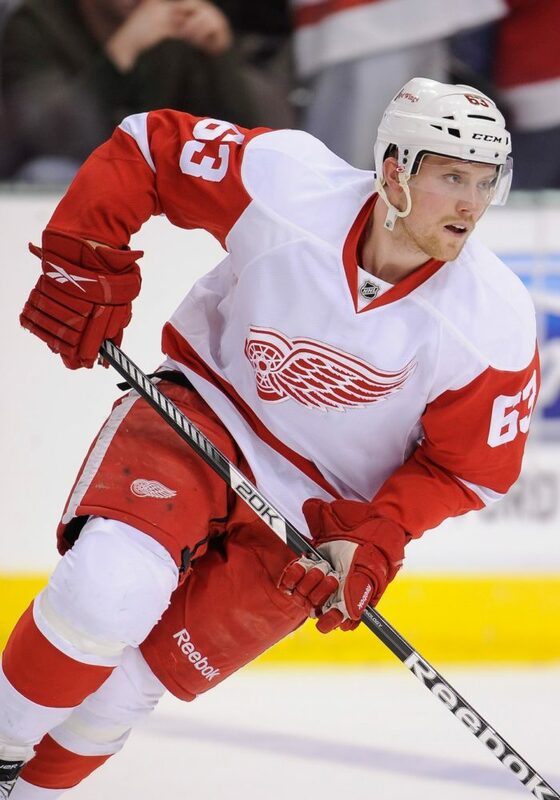 Twice a point per game performer with Grand Rapids, Nyquist has yet to bring his offensive upside to the NHL. He only managed six points (3G, 3A) in 22 games with the Wings last season, but he is being pencilled in by various media outlets to skate on the second line this season. His speed is his greatest asset and he has shown flashes of his offensive capabilities, he set up the game tying goal in game seven against Chicago. He was also invited to Sweden’s pre-Olympic meeting in August. Andersson played in all but 10 games last year with the big club and is expected to be their fourth line centre come October. When Helm went down with his back injury, Andersson eventually took over and was the third line centre for the Wings through the playoffs. He is a productive scorer in the AHL, he had 27 points in 36 games before being called up last season, but has been used in a bottom six role with the big club. He has proven he is good in a shutdown role, he was +2 during the season and +5 in the playoffs with only 18 penalty minutes combined. With his new number, Andersson will look to be a fixture in the Wings’ lineup when the season begins. 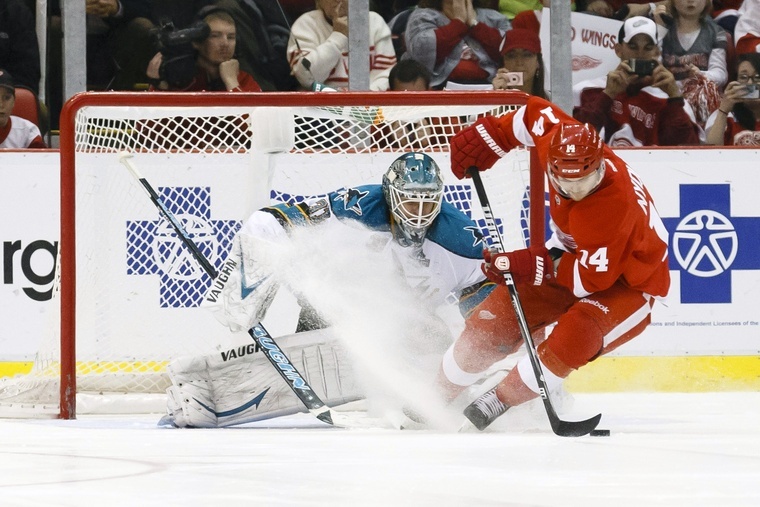 He is only 22 years old, but Tatar already has four seasons of professional hockey to his name. He recorded seven points (3G, 4A) in 18 games with the Wings last year, but was sent back to Grand Rapids for the playoffs. Tatar will most likely be used in a bottom six role, nhl.com predicted him on the third line, if he can secure himself a roster spot. He is not quite a point per game player in the minors, but has scored more than 20 goals for Grand Rapids three years in a row. He finished second in team scoring last year behind Nyquist, but he led the league with 16 goals in 24 playoff games. He is also projected to suit up for Slovakia in Sochi. He was never drafted, but Lashoff impressed enough to see himself playing in 31 NHL games last season. His numbers aren’t flashy and neither is his play, he had five points (1G, 4A) in the NHL last season and six (2G, 4A) in 37 games with Grand Rapids. He will want to try and improve his -10 rating from last season, but he is being pencilled in as Detroit’s seventh defenseman. Lashoff will need a good camp to prove to the Wings’ brass that they are making the right decision to put him in the lineup. The undrafted free agent DeKeyser decided to sign with his hometown favourite Red Wings following three seasons at Western Michigan University. The 6’3″ stay at home defenceman played in 11 regular season games and two playoff games before a broken thumb ended his NHL season, but he returned to help Grand Rapids win the Calder Cup. He may have limited professional experience, but he has already played in high .pressure situations. He helped the Wings secure a playoff spot in their final game, was chosen over veterans Ian White and Carlo Colaiacovo to suit up in the playoffs, and won a championship. All of that was in his first 19 professional hockey games. DeKeyser now has to prove he can be a solid contributor for the gruelling 82 game season, he played no more than 42 games at WMU. DeKeyser is expected to start the season in the top six defencemen and he was invited to the United States’ Olympic orientation camp.